There are several fundamental mistakes that most YouTube Creators make when first starting out when it comes to content strategy. One the major ones is not having a focused content strategy in the first place. We've reached a place where everyone wants a voice but few people have anything to say, and after that many of them are parroting what they've heard from someone else, so they aren't' adding anything new of value. Think about what you're good at, what you know, and what you're excited about. Think about who you are and what you enjoy watching and why you enjoy it. Or if you're confident, show the process behind something you're trying to accomplish in life and inspire other people. Tell your story. If you can find that these things line up then you should make content around that for a few good reasons. One your on-camera presence is better when you talk about something you're excited about, two your confidence is higher if it is something you know very well and are good at, and three people like you will relate to this content. Those things add up to Charisma, if you want to know the secret to success on YouTube, or social media in general, it's down to confidence and charisma more than anything else. Good timing and no confidence doesn't do much, attention with no ability to hold on to it with charisma isn't worth a lot. Your content should be built on the back of your natural talents and strengths. Most people don't do this because they are scared that it won't get enough views. That is the worst way to approach YouTube... view validation. 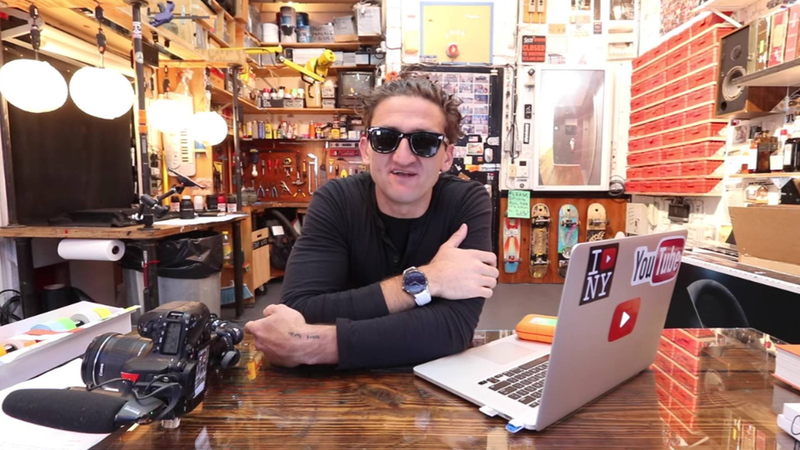 If you're a YouTube you are probably familiar with Casey Neistat. Casey is an NYC filmmaker and one of the largest and most respected creators on the platform, and there is a longstanding series of memes, about that fact many creators just copy Casey. I refer to this as the Casey-Copycat-Club. But the thing is, instead of copying Casey, you should reverse engineer Casey. This man has a method for making videos, that he has mastered down to a science. He set up space for filming his videos, aka his workshop/office. Most of what he needs to make videos when he is there stays set up all the time. When he needs to film on the go, he knows what he's bringing and the process for capturing that content most of the time. If you want to produce consistent content, putting a strategy and schedule for filming and editing and researching in place is going to help a lot. If you want to do this full time you have to discipline yourself to treat it like a business or side hustle, not a 9-5 job or a hobby. If you want to be a hobby creator that's fine and you don't have to take it this seriously though. You also need to make content that you can physically and emotionally sustain. If you try to go big with each every video and copy someone like Casey, without having done the years of training and good habits, you will literally break yourself and could end up trapped doing content you can't physically keep up with. Countless creators have told me they want to be more creative and go outside their safety zone but every time they do they are punished for it. And since this keeps happening and creators want their content to be seen, you're seeing more people launch second channels or do new stuff on other platforms. 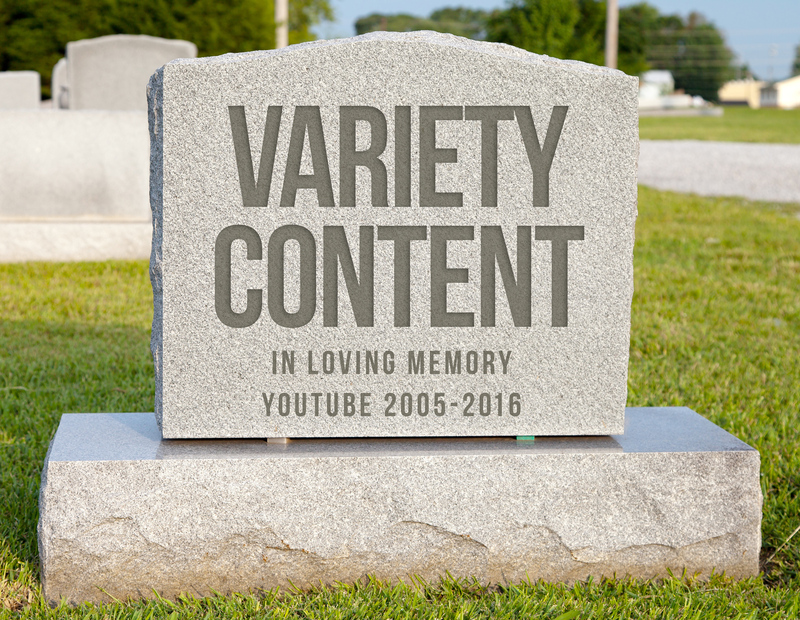 Viewers almost never support variety now in 2018, and I don't know if or when it will make a comeback. The exceptions are established personalities. Now you may be able to keep getting subs and good overall channel views, but your view to sub ratios won't do well, and I'll be very honest with you, casual viewers are going straight up judge you based on that and some are even going to harass and troll you. While I 100% believe you should do the content you want, most of you are probably going to be discouraged if you're honest with yourself if you aren't getting enough views and if people keep throwing it in your face. If you want to grow steadily, and faster and you want to see numbers you are happy with, you're going to have to niche down. If you want creative freedom, you're going to have to not validate yourself based on views. Whether you niche down or not, you should think about how to structure your videos and you should come up with "buckets for your videos". 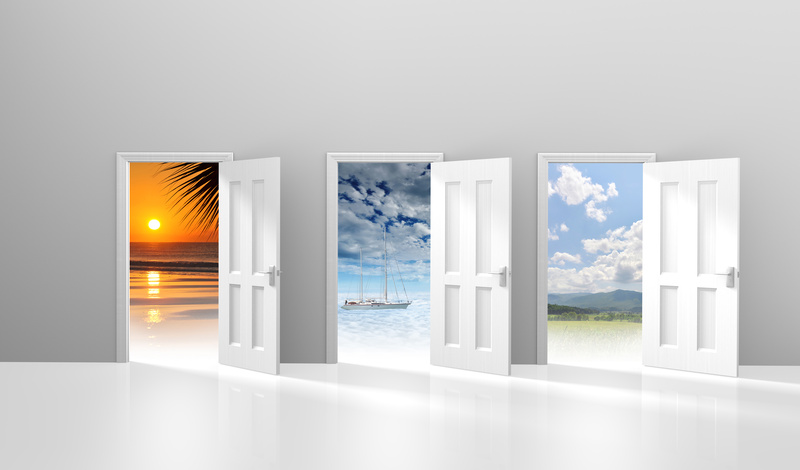 What are 3 completely different types of videos you can make in your niche or genre? Vlogs should never be vlogs, vlogs should be stories anyway, and if you are more than one thing then you can make this work. If you're a vlogger and dancer, and your dream in life is to be a professional backup dancer, you can do vlogs that focus around your journey as a dancer and ever video should remind people about your goal and invite them to support you. If I were doing this I would open every single video with a slow-mo video or time-lapse of me dancing or practicing my choreography. The three videos I would do would be stories and documenting my day, aka an actual vlog, and I would give it an episode show name like DanceCrew Diaries or something; the second type of content on the channel would be Dance tutorials, and a third type of content would be Dance covers. This lets me have a NICHE channel around Dance while being in the genre of Vlogging, without necessarily taking the penalty of viewers being confused, because everything is about DANCE and being a DANCER. Hub content for the main audience would be the DanceCrew Diaries vlogs, Help content that can be found in the search are the Dance Tutorials and show off skills, this could also help with selling training or being a dance instructor later. The Hero content that can reach mainstream audiences are the Dance Covers, by coming up with new choreography for existing popular music, you'll have to, of course, use a remix from somewhere to avoid copyright issues potentially or accept that music will be claimed but the video will get to stay up.